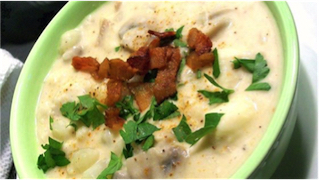 Blue Moon "Oven Fish Chowda"
no foolin’! This month Spring is in the air...well, almost. Here in New England it can still be a bit on the chilly side, especially when it rains, which to us is perfect soup weather. 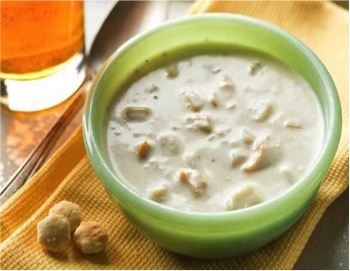 This fish chowder recipe is adapted from the NBWA Cooking with Beer book and has a slight twist: finishing it off in an oven. Perfect for enjoying with a Blue Moon or two. Check it out and let us know your thoughts on our Facebook page. Preheat oven to 375°F. 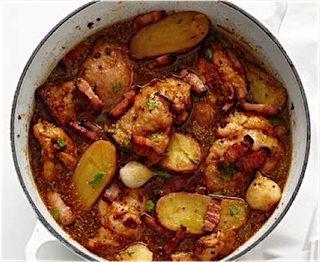 In a large Dutch oven or deep ovenproof skillet, cook bacon over medium-low heat until just beginning to crisp. Remove with a slotted spoon, drain on paper and set aside. To bacon pan drippings, add onion slices. Sauté over medium-low heat 5 minutes until onions begin to soften, but not until turning brown. 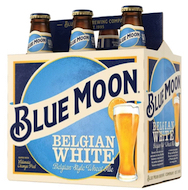 Pour in Blue Moon Belgian White beer and bring to a full boil. Remove from heat. Stir in potato pieces, corn, thyme and garlic. Place chunks of fish on top. Cover pan and place in oven. Bake for 25 minutes until fish and potatoes are fork-tender. Remove from oven; discard thyme stems. Gently stir in cream, salt and pepper, taking care to not break up pieces of fish. Ladle into soup bowls. Garnish with crumbled bacon and parsley. Enjoy with a glass of Blue Moon! 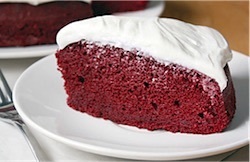 We found this simple-to-make Red Velvet Cake recipe made with a competitor’s stout (perhaps you can guess who) and decided to put a local spin on it using NBPT Joppa Stout. We’re not saying ours is better, but you might want to give it a try and find out for yourself! After all February is for valentines, and what better way to share your love of beer than by making a cake for your sweetheart? Enjoy and let us know what you think on our Facebook page. Preheat oven to 350°F (325°F for dark or nonstick pans). Place a rimmed baking sheet in the bottom rack of the oven. Cover bottom of a 9-inch springform pan with aluminum foil just beyond the seam to seal. Brush foil with vegetable oil and line bottom of pan with parchment paper. Brush top of parchment paper and sides of pan with oil; flour lightly. 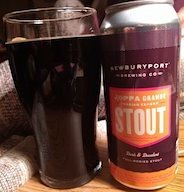 In a large bowl, whisk together cake mix, Newburyport Joppa Grande Stout, milk, eggs, oil, food coloring and baking cocoa with a hand mixer on low speed for 30 seconds; increase to medium speed and whisk for 2 minutes. Pour all batter into bottom of springform pan and place on middle rack of oven directly above baking sheet. Bake for 45 minutes to 1 hour until cake has pulled away from the sides of the pan and a toothpick inserted in the center comes out clean. Remove pan from oven and cool completely on a cooling rack. Remove sides of springform pan and frost the top of the cake. January is soup weather and a great time for stick-to-your-ribs food. This black bean soup made with Switchback Ale was adapted from the NBWA Cookbook. And don’t let the ingredients list scare you — you’ll find this recipe easy to make and even easier to enjoy on cold winter nights. Give it a shot and let us know what you think on our Facebook page. In a heavy soup pot, bring to a boil over medium heat the following: beans, water, Switchback Ale, ham hock, bay Leaves, green pepper quarters and tomato paste.Reduce heat to low, cover pot and simmer 1½ hours or until beans are firm-tender. Remove ham hock to cutting board, discard bay leaves and pepper quarters. In a large skillet, warm 4 tablespoons of olive oil over medium high heat. Add onions, carrots, celery, red bell peppers, diced green pepper and garlic. Cook, stirring frequently, for approximately 6 minutes. Stir in vinegar, remaining two Tablespoons of olive oil and pepper sauce. Bring to a boil, reduce heat to low and simmer, partially covered with lid, one hour longer. Transfer 3 cups of beans with some liquid in pot to a food processor; puree. Cut up the ham from the hocks into small pieces and return to soup pot. Ladle into bowls; serve with optional garnish of red onion, chopped egg, tomato and cilantro. It’s the holiday season and what could be better than bringing over dessert? Adapted from CDKitchen and perhaps a bit more challenging than usual, this moist holiday dessert will be sure to satisfy any sweet tooth in the crowd. Give it a go and post your comments on our Facebook page. 1. Preheat oven to 350 degrees F. Grease 10-inch bundt pan. 2. Sift flour, baking powder, baking soda and salt into large mixing bowl. 3. In a separate bowl, cream butter and sugar together. Add eggs, sour cream, Two Roads Holiday Ale and vanilla. Stir vigorously approx. two minutes. Add to dry ingredients and mix until all ingredients are well blended. Batter is now complete. 4. In a separate bowl, mix sugar, cinnamon and walnut chips. 5. Spoon one-third of cake batter into greased 10-inch tube pan. Sprinkle on one-third of filling. Spoon on another third of cake batter and again sprinkle on a third of filling. Spoon on remaining third of batter and sprinkle remainder of cinnamon mixture on top. 6. Bake 45 to 50 minutes or until browned on top and cake tester comes out clean. Here's a simple recipe that will keep you warm during upcoming November nights. 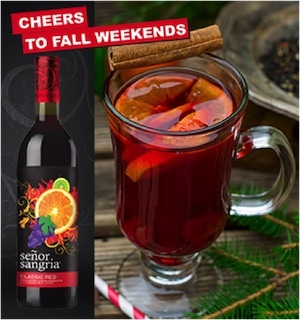 Let us set the scene for you: First snow of the season, a crackling fire, frost on the window and a mug full of Señor Sangria "Hot Toddy". Sounds like heaven to us. Easy to make and will be welcomed by friends and family alike. Let us know what you think on our Facebook page. Mix all ingredients in a large sauce pan. Simmer over low heat for 10-12 minutes. Pour into mugs or insulated cups. Garnish with cinnamon stick and orange/apple slices. Who doesn’t love Fall? The colors, the cooler weather that demands a sweater or jacket, and of course it’s pumpkin season. 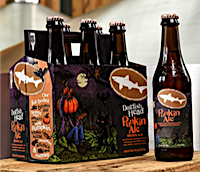 This month’s recipe combines the best of both with Dogfish Head Punkin Brown Ale and a recipe adapted from Gimme Some Oven. It's easy to make and will be a welcome addition to your dinner table. Enjoy, and let us know how you like it on our Facebook page. 1. Preheat oven to 375 degrees. Grease 9x5 bread pan with cooking spray/butter, or line with parchment paper. 2. 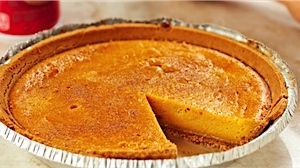 In a large mixing bowl, combine flour, baking powder, salt, pumpkin pie spice, honey and pumpkin puree. 3. Slowly add the Dogfish Head Punkin Brown Ale and stir until smooth. 4. Bake for 50-60 minutes, or until a toothpick inserted into middle of bread comes out clean. 5. Remove bread from pan and place on cooling rack. Allow to rest for at least 5 minutes before slicing. Oktoberfest in September? Yes! History recorded the original Oktoberfest as celerating the marriage of Bavaria’s Prince Ludwig to Princess Therese in 1810, and today it still takes place at the end of September. For this month’s continued great grilling weather we found a recipe that combines the best of both cultures, American grilling and German ingredients. Prosit! Comments welcome on our Facebook page. We know what you’re thinking…”Does this really work?” The answer of course is yes — and it’s even better with the lemon zest flavor of Narragansett Del’s Shandy. Some may be skeptical, but trust us: You’ve have never had a better chicken on the grill. Are you up for the challenge? Let’s do it! Comments welcomed on our Facebook page. Preheat grill to 375 degrees. Remove neck and giblets from the chicken and discard. Pat bird dry, then rub with oil, salt, pepper and your choice of rub. Open can of Narragansett Del’s Shandy and put aside (or drink) approx. one-half of the volume. Remove the tab and place the can upright inside the cavity of the bird. Place the can/bird upright on to the grill (try positioning the legs so they act like a tripod with the can). Grill chicken in the upright position on med-high indirect heat. 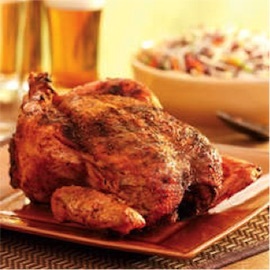 The beer will steam and foam from the can while cooking, infusing the bird with flavor and moisture. Grill until internal temperature reaches 165 degrees in the breast and 180 in the thighs, approx. 25 minutes depending on your grill. Let rest for approx. 10 minutes. Remove the can and serve! Summer is in full swing and the grill is working overtime. Now’s the time to step it up a notch with these oh-so-tasty Chicken Gyros (pronounced “Heros”) Kebabs. 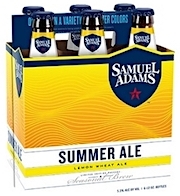 The citrus notes of the Sam Summer Ale are the perfect complement to Greek style cooking. 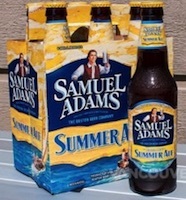 Make sure you have plenty of Sam Summer on hand — it’s going to be a long, enjoyable evening! Comments welcomed on our Facebook page. Combine all sauce ingredients in a medium glass bowl. Cover and refrigerate until ready to use. In a medium-sized glass bowl, whisk together all marinade ingredients. Place the chicken and lemon pieces in a large, re-sealable plastic bag and pour in the marinade. Press the air out of the bag and seal tightly. Turn the bag to distribute the marinade evenly, place in a bowl, and refrigerate for 45 minutes to 2 hours. Prepare gas or charcoal grill for direct cooking over medium heat (350° to 450° F). Remove chicken and lemon pieces from bag and discard marinade. Thread the chicken onto the skewers. Brush cooking grate(s) with oil. Cook Kebabs over direct medium heat, with the lid closed, until the meat is firm to the touch and opaque all the way to the center, 8 to 10 minutes, turning once or twice. 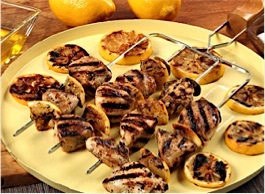 Cook lemon pieces 3-5 minutes on the side and serve on the tray with the kebabs. Remove from grill and let rest for 2 to 3 minutes. Serve warm with Tzatziki sauce and Samuel Adams Summer Ale. Please Note: If using bamboos skewers, soak in Sam Adams Summer Ale at least 30 minutes prior to grilling. Nothing says 'Summer in New England' like fresh steamed shellfish on the table and an ice-cold beer. This month’s recipe adapted from A Man, A Pan, A Plan brings out the best of both thanks to Dogfish Head’s wonderful new addition to their lineup of great styles. And if you're a glutton for great seafood, simply double the recipe! Enjoy. Comments welcomed on our Facebook page. In a large cast iron pan, add olive oil, garlic and shallots. Adjust heat to medium and cook, stirring occasionally until garlic is aromatic, 1-2 minutes. Add Dogfish Head SeaQuench Ale, limes, butter, ciltantro stems and clams. Cover the pan with a lid and cook until clams open, 8-10 minutes. Garnish with the chopped cilantro leaves and serve immediately. It’s May and you know what that means. Time to dust off those backyard grills and bring dinner back to the outdoors! 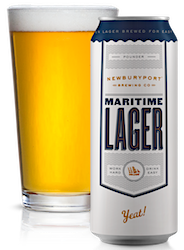 This month’s recipe, adapted from Honest Cooking, is simple to make and brings out the best in both flavor and tenderness thanks to Newburyport Maritime Lager. What are you waiting for? Summer in New England only last so long! As always, comments welcomed on our Facebook page. 1. Start by combining the ingredients for the marinade in a bowl. 2. Salt and pepper the chicken thighs. 3. Place them in a large plastic storage bag. 5. Place in fridge for 6 to 8 hours, turning at least once. 6. Remove thighs from the marinade and pat dry. 7. Grill over direct medium heat, skin side first, for about 20 minutes, turning about every five minutes. Looking to celebrate Cinco this year? We adapted this recipe from the Genius Kitchen. 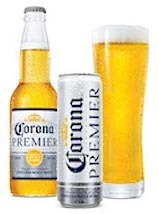 The Corona Premier and the length of marinating time really make for a tender meal. This recipe can be doubled or even tripled depending on the number of people you're entertaining. So break out the festivities and give this one a try. Comments welcomed on our Facebook page. Season the meat with salt and pepper and half of the taco mix. Place in a non-reactive dish and add enough Corona Premier to coat thoroughly (remaining beer may be enjoyed with your meal). Add onion and bell pepper together in a bowl and blend with remaining taco mix. Drain the meat well and discard the marinade. Heat a large skillet over medium high. Add the oil and heat thoroughly, then add the meat and brown on one side (about 4 minutes). Turn meat over and add onions; cook for one minute. Lower heat to medium and add bell peppers. 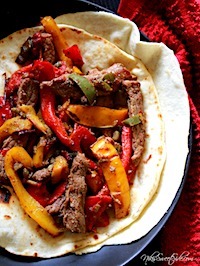 Cook until peppers are tender; around 10 minutes. Add tomatoes and juice from one lime. Cook for a minute or two more. Serve with tortillas, beans, salsa and guacamole and of course Corona Premier. Adapted from Quick and Easy Dump Cakes by Cathy Mitchell, our recipe incorporates true Irish roots with Murphy's Irish Stout and Coole Swan Superior Irish Cream Liqueur. The recipe is slightly more involved than most but well worth it when you bite into a delicious marriage of chocolate, stout and Irish Cream! Give it a try a let us know how you make out via our Facebook page. Sláinte! Preheat oven to 350 degrees F. Spray a 9x5 loaf pan with baking spray. In a large bowl sift together the following: flour, cocoa powder, baking soda, salt/pepper. Set aside. Using a mixer and large bowl, beat together butter and brown sugar until fluffy (about 3 minutes). Scape the edges of the bowl, then add egg and Murphy’s Irish Stout. Mix for 30 seconds, enough time to break apart the egg. Slowly add the dry ingredients to the wet ingredients, mixing gently in between. When all the dry ingredients have been added, mix until just combined (i.e., dry ingredients are no longer visible). Gently fold in chocolate chips and chopped walnuts. Pour batter into the prepared load pan. Bake 45–55 minutes or until a tester comes out clean with a few moist crumbs. Let pan cool for 10 minutes. Remove loaf and transfer to a wire rack to cool completely. In a small bowl whisk together all ingredients. If you wish a thinner glaze, add an additional small splash of Coole Swan until desired consistency is reached. For a thicker glaze, add 1 tbsp of additional powder sugar until the frosting is thick enough. Glaze bread generously after it has cooled completely. 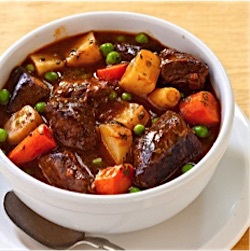 Continuing the comfort food theme for February, we adapted this wonderful beef stew concoction from the archives of Southern Living magazine. 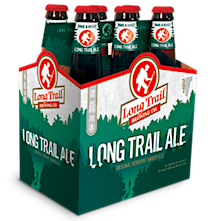 Of course, with the addition of Long Trail Ale, we brought the roots back to New England. Easy to make, but allow time to simmer — enough time to grab a few bottles of Long Trail Ale and watch a quiet snow fall, read a few chapters of a good book or hang with friends. 35 min. / 4 hrs. 15 min. Combine flour, salt and pepper into a shallow bowl. Dredge beef in flour mixture. Heat half of the oil in a Dutch oven over medium-high heat; add half of the beef and cook until brown all over, about 5-6 minutes. Transfer to a bowl and repeat with the remaining oil and beef. Add onions to the Dutch oven and cook until softened, about 6 minutes. Stir in the Long Trail Ale, soy sauce, Worcestershire sauce, steak sauce, garlic, bay leaves and thyme. Bring to a boil. Add back the beef; cover and reduce heat to medium-low. 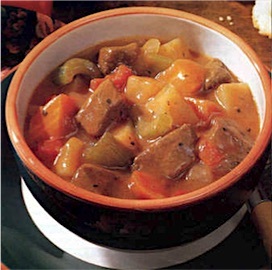 Simmer until beef in tender, about 2½–3 hours. Stir in potatoes and carrots and cook until tender, about 30 minutes. 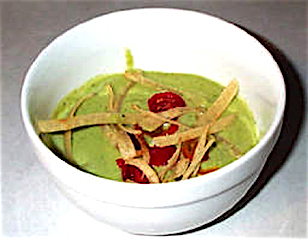 Stir in peas and cook for an additional 2–5 minutes. Discard the bay leaves and garnish servings with parsley. 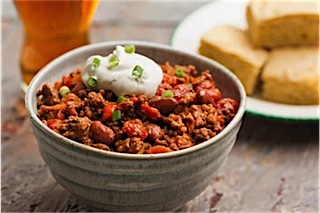 It’s chili season again and while we’re not saying this is the best recipe out there, we are saying that this is damn good one that’s easy to make and perfect with a pint of Switchback Ale. 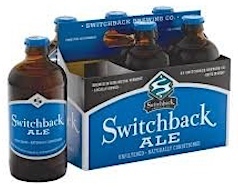 So next time they’re calling for snow, break out this recipe along with a couple 6pk bottles of Switchback. Don’t forget to invite friends over. Enjoy! 10 min. / 30 min. Cook ground beef in frying pan until pink is gone. Cook chopped onion in beef drippings until translucent (around 6 minutes). 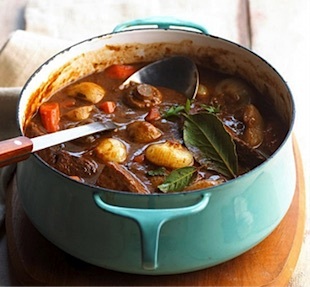 Mix beef in Dutch oven or a large pot with tomato sauce, pinto beans and peeled tomatoes. Add chili powder, oregano, and a bottle of Switchback Ale. Salt lightly to taste. Simmer for 10 minutes and then carefully add cayenne pepper (one teaspoon will be quite hot so you may want to start with just a little). Stir pepper in slowly and cook another 5 minutes. When ready spoon out into bowls and garnish with sour cream and cheddar cheese. We grabbed this one from Beer Advocate issue #59. With the Christmas holidays fast approaching this could be the perfect addition to a Sunday morning brunch or opening gifts with a cup of coffee around the tree. Whatever your holiday tradition, nothing beats the smell of fresh made bread in the oven. This one’s made even better with the addition of Ipswich Oatmeal Stout. Give it a try and let us know what you think on our Facebook page. Merry Holidays from all of us at MVDC! 40 min. / 40–45 min. Pour the Ipswich Oatmeal Stout into a medium-size pot over high heat and bring to just short of a boil. Add the molasses and whisk to combine, then add the baking soda. Remove from heat and let cool to room temperature, about 20 minutes. Coat a 9-by-13-inch baking pan with butter. Add the butter to the bowl of an electric mixer fitted with a paddle attachment, and cream it on medium speed until soft and fluffy. Add the sugar and ginger, and beat for 2–3 minutes on high speed. Add one egg at a time until combined. Turn off the mixer and remove the bowl and paddle. In a sifter add the flour, baking powder, ginger, cinnamon, salt, clove and nutmeg, and sift into the mixing bowl. Pour the cooled Stout molasses mixture over the top of the flour and fold with a spatula until combined, making sure there are no flour spots and the batter is mixed evenly (but don’t over-mix). Preheat oven to 350°F. Place the oatmeal evenly onto a sheet tray and into the hot oven. Toast the oatmeal for 8–10 minutes, stirring to brown evenly. Remove from oven and pour into a large bowl. Add the sugar, flour, lemon peel, cardamom and salt, and mix well. Once the oats have cooled, add the butter and toss/stir until pea-shaped balls of streusel form. Pour half of the batter into the prepared pan. Distribute half of the streusel over the top of the gingerbread batter. Pour the remaining batter over the top of the streusel, spreading with a spatula to achieve an even thickness. 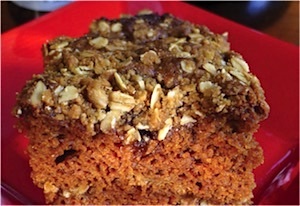 Arrange the remaining streusel over the cake, place into the center of the oven and bake for 40–45 minutes, or until a thin knife removed from the center comes out clean. Let coffeecake cool, then cut and serve. It’s that wonderful time of year when family and friends gather around the table to give thanks, swap stories and share in each other’s blessings. This month’s dessert recipe is a perfect complement to your holiday line-up. Though it may be a bit more involved than some other recipes, it’s worth the effort because it looks and tastes…well, sinful! Give it a try and share your results, and those family memories, on our Facebook page. Enjoy. 30 mins / 30 mins. Peel squash, remove seeds and cut into 3" chunks. Place squash in a large pot with enough water to cover. Bring to a boil over high heat, reduce to maintain a low boil and cook until tender about 10 minutes. Drain the squash thoroughly and puree until very smooth. Run the puree through a sieve to remove solids; then measure out 2 cups for the pie. 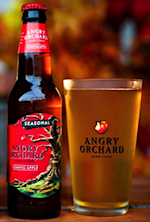 Pour ¼ cup of Angry Orchard Cinnful Apple Cider in to a small bowl. Sprinkle with the gelatin over the top and stir to soften the mixture. Place the squash puree, cream, remaining Angry Orchard cider, salt and nutmeg into a 4 quart pot. Place over medium high heat and bring almost to a boil (bubbles start to foam around the edges). While the squash mixture is heating, beat the yolks and sugar in a large mixing bowl until smooth. Mix some of the hot squash mixture into the yolks to temper them so they will not scramble. Then whisk the tempered yolk mixture into the squash. Remove the pot from the heat. Stir a little of the mixture into the gelatin, then stir the rest of the gelatin into the squash mixture. Stirring frequently, cool the filling to room temperature. When the filling has cooled enough, fill the pie crust, cover and refrigerate 4 hours minimum or overnight to firm. Enjoy with a dollop of fresh whipped cream. The tradition of Oktoberfest began in 1810, created to celebrate the marriage of Bavarian Crown Prince Ludwig. Citizens of Munich were invited to join in the festivities held over 5 days in front of the city gates. Today it’s touted as the largest festival in the world with over 6 million in attendance annually. 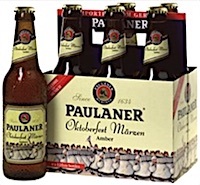 Paulaner was one of the original beers produced in Munich and the brewery remains successful today. This recipe, courtesy of Real Beer and Good Eats, brings out the best in both traditions. Prosit! 10 mins. / 8–15 mins. Cook bacon in a large skillet over medium high heat until it begins to crisp. Pour off all but 1 tablespoon of the fat. Add the olive oil and onions. Cook for approx. 5 minutes. Add brussel sprouts and Paulaner Oktoberfest. Cook for 2–3 minutes until most of the beer is absorbed. Serve as a side dish with your favorite meal. Question: What goes better with football tailgating than spicy wings? Answer: Nothing! 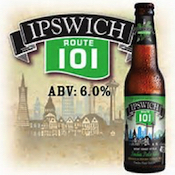 This month’s recipe calls on all the great spicy flavors you expect in wings, including ‘amping’ it up with Ipswich 101 IPA. This one is a little more complex than most of the recipes we put out but definitely worth the challenge. Give us a shout on our Facebook page and let us know how you made out! 2+ hours with marinade time / 15–45 min. 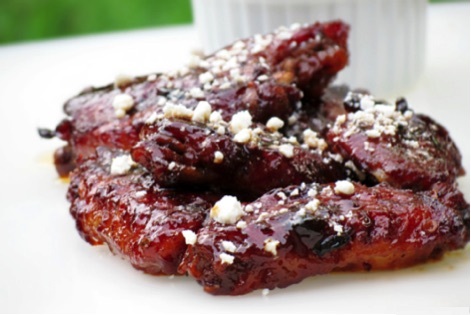 Combine all marinade ingredients, then add the chicken wings. Marinate 1-2 hours, drain and pat dry. Season wings with black pepper, cayenne pepper and salt. Cook in oven for 15 minutes at 375 degrees, or broil until cooked through. Combine all sauce ingredients except butter in a saucepan. Reduce slowly over heat for 30 minutes. Slowly add and melt in the butter until everything is incorporated. Remove from heat and mix in the wings with the desired amount of sauce. Top wings with chopped scallions and serve with lime wedges on the side. Serve Blue Cheese or Ranch dressing on the side if desired. The dog days of summer are upon us and we thought it would be great to celebrate the remaining days of the season with our newest addition to the MVDC brand portfolio, Ballast Point Sculpin. This award-winning IPA makes a great complement to food on and off the grill. 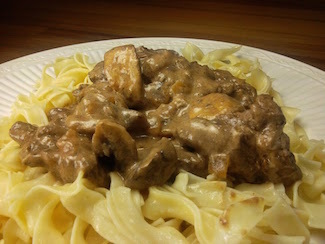 August’s recipe has been adapted from “Cooking with Linda”, Granite Bay, CA. It’s full of flavor and super-easy to make. All you seafood lovers, crack open a Sculpin IPA and let’s get grilling! Mix together the Old Bay, Creole, garlic, olive oil and Sculpin IPA. 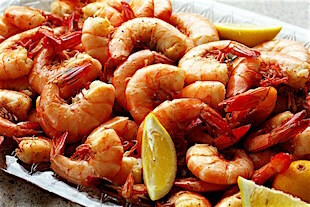 Place shrimp in a resealable plastic bag and pour marinade into bag. Toss the shrimp around just a bit and make sure all shrimp are coated. Let shrimp marinate in this mixture for at least 2 hours or up to 12 hours. Discard marinade when finished. Wrap a thin slice of pancetta or prosciutto around each piece of shrimp. 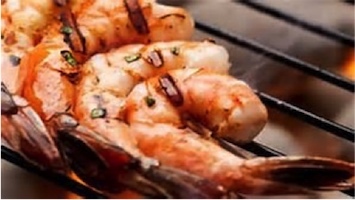 Place the shrimp on skewers and grill (on medium low), cooking approx. 4 minutes on each side or until bright pink. July is finally here, and in New England that means fresh sweet corn! 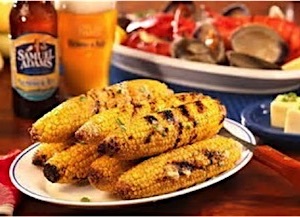 This month’s simple-but-elegant recipe features Sam Adams Summer Ale and comes from the Cooking with Sam recipe book. It's easy to make, and you'll find that adding Sam Summer Ale to the mix takes your veggies (in this case corn) to the next level. As stated in the book, “The slight smokiness of the grilled corn emphasizes the beer’s sweet malt notes, while the lingering peppery notes from the Grains of Paradise balance the rich and buttery sweetness of the corn”. Comments on our Facebook page welcomed as always. In a mixing bowl, add the Sam Summer Ale, to the softened butter. Add chopped chives and mix ingredients together well. Cover beer, butter and chive mixture with plastic wrap and refrigerate until cold and reformed. Grill corn as desired and slather with the beer butter for the final act. For this month’s recipe we included one of our newest brand introductions: Amstel Xlight. With only 90 calories and 2 grams of carbs, it’s well suited for summer meals. 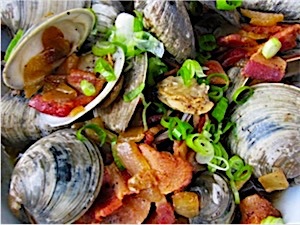 This recipe (adapted from Serious Eats where it was contributed by professional chef Sydney Oland), fuses the great taste of briny clams with the saltiness of bacon. It’s the perfect complement to a light summer salad, some crusty bread and of course more Amstel Xlight. The dish can easily be doubled for larger crowds and bigger appetites. Comments welcomed on our Facebook page. Roughly chop bacon. 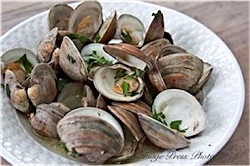 Add clams to pan with onions, sprinkle with reserved bacon and pour over the bottle of Amstel Xlight. Cover and cook until clams open, about 15 minutes. What is a Huckleberry? Well…it tastes like a blueberry and has a cooler-sounding name. 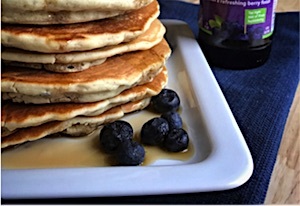 This month’s recipe takes breakfast to new heights with UFO Huckleberry Pancakes. 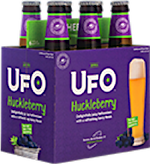 Sure, you could use a mix and substitute the water with UFO Huckleberry Hefeweizen, but we suspect you purists are looking for the real thing (just like Area 51 enthusiasts). Besides, this is one of the quickest and easiest recipes we’ve offered to date. Give it a try, then give us a shout on our Facebook page with your comments and suggestions. 1 day, 15 minutes / 7–8 hours approx. In a large pan, soak the beans overnight in cold water. 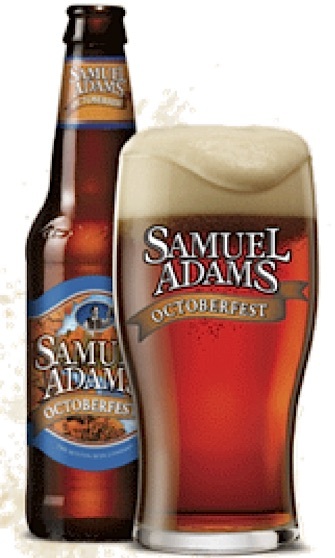 Drain the beans and cover with fresh water and one bottle of Sam Adams Boston Lager. Bring the beans to a boil. Lower heat and simmer slowly for 1 hour or until beans are tender. 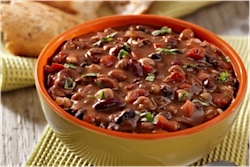 Place the beans in a large, oven proof pan or Dutch oven along with the liquid they simmered in. In a small fry-pan, heat the oil on medium heat. Add onions and cook until they are a deep, golden caramel color. Stir the onions into the beans. Stir the remaining ingredients into the beans and press the pork shanks down so that they are covered. Place the pan, uncovered, into a preheated 300-degree oven and bake for 3 hours. Add the second bottle of Sam Adams Boston Lager plus just enough water the cover the beans. 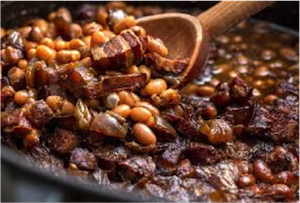 Allow the beans to continue cooking, uncovered, until they are brown on top and have the desired consistency. Approximately another 3 hours. Shred the meat from the pork shank and stir into the beans. 15 minutes / 4–6 hours approx. 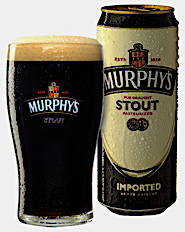 Preheat oven to 300 degrees F. In a large Dutch oven, whisk together the Murphy’s Irish Stout and brown sugar. Snuggle in the brisket so it’s completely covered by the beer. Add the pickling spice, onion and garlic head and bring to a simmer uncovered. Once simmering, cover pot and place in oven to roast 4-6 hours, flipping the meat once during the halfway point. Remove from oven. Reserve 2 cups of the beef braising liquid to cook the cabbage. In a separate large pot, heat up the oil on medium-high setting. When hot, add the cabbage wedges and cook until browned 3-4 minutes. Turn over to brown the other side, and add in the carrots and the potato chunks. Pour in the 2 cups of reserved braising liquid, bring to a simmer and cover the pot. Turn heat to low and cook 10-15 minutes, then remove the cabbage. Continue cooking carrots and potatoes till done 5-10 minutes (check by piecing with a fork), then sprinkle with parsley and plate with the cabbage. 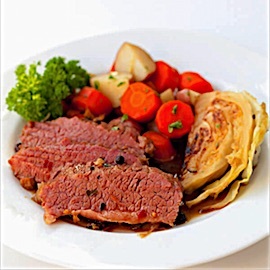 Slice the corned beef and serve with the cabbage and vegetables. Pour a bit of the braise sauce over before serving. Keeping with the comfort food theme, this month’s recipe, adapted from the Food Network, takes much longer to cook than it does to prepare. 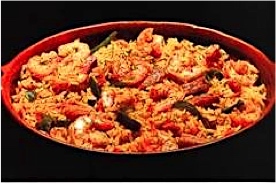 If you felt that January’s Jambalaya recipe was a bit challenging, don’t shy away from this one. The level is easy and the results are sensational. Facebook page comments always welcomed. Enjoy! 25 minutes / 2½ hours approx. Season beef with salt and pepper. Heat oil in large Dutch oven over medium-high heat. Add in the beef and cook until well-browned on all sides. Stir in tomato paste and cook for approx. 1 minute. Stir in onions and cook, stirring occasionally until softened and brown. Add Switchback Ale, beef broth, soy sauce and bay leaf. Bring to a simmer and reduce heat to medium low. Cover and cook, stirring occasionally until meat is tender and liquid is slightly reduced. About 1½ hours. 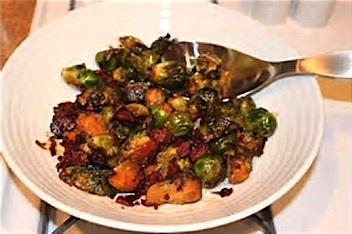 Add Brussel sprouts, carrots, parsnips and red potatoes. Continue to cook covered for about another hour until meat and all the vegetables are tender. Remove bay leaf before serving. With winter now upon us, it’s all about comfort food that stick to the ribs and is the center of attention around the dinner table. We started with a recipe from the Great American Beer Cookbook and added our own variation which, we think you’ll agree, brings it up a notch or two. There’s a lot to this recipe, but then again what else you going to do on those harsh winter nights? Facebook page comments always welcomed. Enjoy! Heat large skillet with ½ cup of oil or lard on medium-high. Add onions and sauté until transparent. Add celery, bell pepper, ½ cup of parsley, garlic, pepper flakes and sauté until wilted and fragrant (about 5 minutes). Add ham and sausage and cook for about 5 minutes. Remove from heat and set aside. Heat remaining oil or lard in a large heavy pot or Dutch oven. Add uncooked rice and sauté until golden brown. Add sautéed vegetables, meat, tomatoes, stock and Harpoon IPA. Stir, cover and simmer over low heat for approximately 20 minutes. Lift the lid and quickly stir in the shrimp. Replace lid and continue to simmer another 15 minutes or until all the liquid is absorbed. Let stand for 10 minutes. Stir in remaining parsley and chopped scallions. Classic bruchetta reimagined for the holidays adds a festive accent to your favorite seasonal dishes. This month’s offering comes from Blue Moon’s Holiday Series, recipes created to bring fresh ideas to your table. Try this unique take on a traditional appetizer and let us know what you think on our Facebook page! Peel orange and cut peel into long segments, should yield about eight 2” peels for the whole orange. Stack the peels and finely slice into thin strips. In a small saucepan, add peels, beer, honey, and juice of the peeled orange. Place on low heat and bring to a simmer and cook for 18-20 minutes until the liquid and orange peels have become caramelized. While orange peels are simmering, drain can of white beans, then rinse lightly with water. Once strained and rinsed, place into a small mixing bowl. When orange peels are caramelized, transfer from the saucepan into the mixing bowl with the beans. Add chives, salt, and red wine vinegar. Mix using a fork and lightly smash beans. They all don’t have to be smashed, just a few for texture and ease of plating. 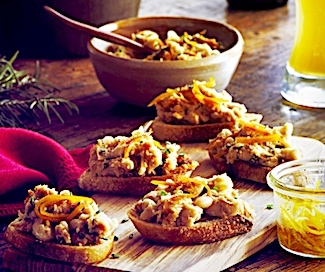 Serve 1 spoonful of the bruschetta on toasted baguette slices. Drizzle with olive oil if desired. Looking to bring something special to your upcoming Thanksgiving celebration? 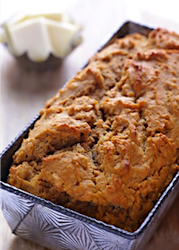 We've brought back this favorite holiday recipe because no host can turn down a 12-pack of Shipyard’s Pumpkinhead Beer and a loaf of Pumpkin Ale Bread. We hope you enjoy this seasonal choice, adapted from food.com. As always, give us your feedback on our Facebook page! Approx. 5 mins. / 60 mins. Preheat oven to 375 degrees. Grease a 9x5 inch bread pan with cooking spray (or line with parchment paper). Stir flour, baking powder, salt, pumpkin pie spice, honey and pumpkin puree together in a large mixing bowl until combined. Add beer slowly and stir until combined and smooth. Bake for 50-60 minutes or until a toothpick inserted into the middle of the bread comes out clean. Let rest for a least for 5 minutes before slicing. Not for lightweights in the kitchen — but certainly worth the effort! This month’s recipe has been adapted from Beer Advocate where we chose Peak Organic Brown Ale (www.peakbrewing.com) to complement the complex flavors that go into this slow-braised pork shoulder. Facebook page comments always welcomed. Enjoy! 24 hrs. / 6.5 hrs. 1. Chop the garlic into the salt until the cloves are cut into small pieces. Smash the garlic and salt together, using the salt crystals to grind up the garlic. 2. Add the ground cumin, marjoram, freshly cracked peppercorns and orange zest to the garlic, smashing the ingredients together, making a seasoned paste. • Alternatively, all the ingredients can be pulsed to make a paste in a food processor. 4. Use a sharp knife to cut a diamond pattern into the meat. Make parallel cuts about 3/4 inch apart and about 1/4 inch deep one direction, then turn the roast 90 degrees and repeat the cuts. 5. Next, with a sharp paring knife, carefully stab the pork roast, making a cut the width of the knife’s blade, the perfect size for a peeled garlic clove. 6. Make 12 holes like this, evenly spaced around the roast, avoiding the bone. 7. Massage all of the Cumin Orange Garlic Rub onto the pork, covering the sides and forcing some into the holes. 8. Press the 12 garlic cloves into the pork roast. 9. Place in large sealable bag and refrigerate for 24 hours to marinate in the rub, allowing the seasoning to fully infuse the large roast with flavor. In a large pot or Dutch oven, add the sliced onions, bay leaves, olive oil, and salt, tossing with a spoon to coat evenly with the oil. Place the rubbed pork roast on top of the onions and carefully pour the Peak Organic Brown Ale down the side of the pan. The roast should be between 2/3 and 3/4 submerged in beer. Add the orange juice, cover the pot with a tight-fitting lid, and place into the center of the preheated oven. Let the pork braise for 5 – 6 hours, or until the meat’s internal temperature reads 210°F. 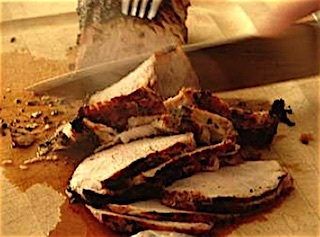 Carefully remove the pork roast from the braising liquid and place on a cutting board. Tent the roast with aluminum foil and allow it to rest for 20 minutes, making it easier to slice. As the meat is resting, reduce the braising liquid by half until it forms a sauce and has thickened slightly. Add the remaining orange juice to brighten the sauce. Pour it into a dish to serve alongside the roast. Looking for a great recipe that's perfect for September tailgating? 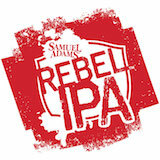 What could be better than a beer-infused burger, especially one made with Rebel IPA. This one comes right out of “Cooking with Sam” where they collaborated with Chef Ken Oringer to create the perfect combo. Facebook page comments always welcomed. Enjoy. Reduce soy sauce, sugar, ginger, Rebel IPA and garlic over medium heat until maple syrup-like consistency. Set aside grilled burgers to desired temperature. Just before done add soy-beer mixture to burgers. Cook for 2 minutes. The dog days of August are upon us, bringing heat, humidity and Corona Beer. We have adapted this month’s recipe from NBWA’s cookbook, of course adding our own twist. It’s simple with plenty of great ingredients to make a tasty summer soup — chilled, of course. Your comments always welcome on our Facebook page. Enjoy! 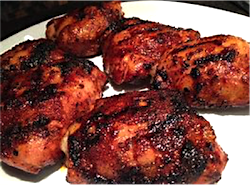 We’re going tropical this month with a jerk chicken recipe adapted from the NBWA cookbook. 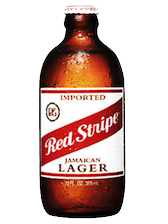 Made with your Jamaican “fav“ Red Stripe lager and unsweetened coconut milk. Be sure to break out the steel drums and tropical wear for this one. Facebook page comments always welcomed. Enjoy! Coat chicken all over with jerk seasoning. Warm oil in a large Dutch oven or similar large pan over medium heat. Cook chicken in two batches, turning frequently, until well browned, about 8-10 minutes. Remove chicken to plate. Pour off all except approx. 2 tablespoons of pan oil. To the pan drippings add: onions, chiles, ginger, garlic and salt. Cook, stirring 3-4 minutes until onions are lightly browned. Stir in rice and cook for an additional minute. Add the bottle of Red Stripe Lager, coconut milk, beans and half of the cilantro. Return chicken to pot along with any accumulated juices. Bring chicken mixture to a boil, cover pot and reduce heat to low. Simmer 30-35 minutes or until liquid is absorbed, rice is tender and chicken is cooked through. Stir in remaining Cilantro and serve with Red Stripe Lager. This recipe is adapted from Real Beer and Good Eats and is a perfect complement to the longer days and warmer weather ahead. 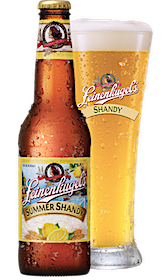 Leinenkugel Summer Shandy with its crisp clean lemon taste strikes the perfect chord with shrimp. Comments on our Facebook page always welcome. Enjoy! 1. Wash shrimp and set aside. 2. Place all remaining ingredients (except Old Bay, lemon and sauce) into a 6-quart stockpot. 3. Bring to a boil. Keep at a rolling boil for 10 minutes. 4. Add shrimp and cook 5-7 minutes until pink and firm. 5. Remove from heat. Let shrimp cool to room temp or refrigerate. 6. Serve on a platter dusted with Old Bay Seasoning. Add lemon wedges and sauce. 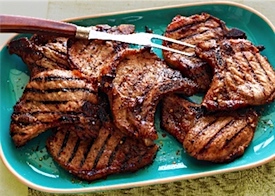 With the warmer weather ahead of us, it’s time to brush off the cobwebs and fire up the grill for this month’s recipe. Adapted from Great American Beer Cookbook, our teriyaki recipe screams flavor with one of our newest suppliers Revolution Brewing from the windy city Chicago and their full-flavor Eugene Porter. 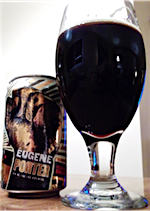 Named after Eugene V. Debs, an American Union Leader who led the Pullman Railroad strike of 1894, this robust porter is perfect to bring the flavors out in the marinade. Give it a try and post your comments on our Facebook page. Awesome! 3 hrs. 15 mins. / 15–20 mins. 1. Whisk together the first 11 ingredients and let stand at room temperature for a least 1 hour. 2. Brush marinade over salmon (skin removed) and refrigerate for 2 hours. 3. Heat grill to medium high. 4. Sprinkle fish with flour and grill, basting often with marinade. 5. Cook approximately 8-12 minutes each side. Cooking time will depend on thickness and how you like it done. If you haven’t tried the Shed Mountain Ale, you’ll be pleasantly surprised by this full-bodied English Brown Ale. 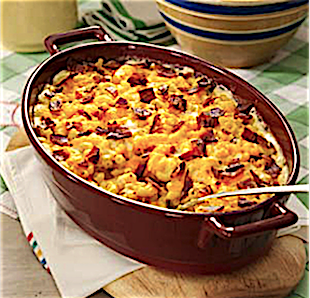 It’s a perfect addition both in and alongside of this month’s recipe offering of Mac & Cheese, adapted from “Taste of Home” Best-Loved Recipes. Give it a try and post your comments on our Facebook page. Yummy! 2. Meanwhile, in a Dutch oven, heat butter over medium-high heat. Add garlic; cook and stir for 1 minute. Stir in the flour, mustard, salt and pepper until smooth; gradually whisk in the milk, Shed Brown Ale and cream. Bring to a boil; cook and stir for 2 minutes or until thickened. 3. Reduce heat. Stir in 2 cups cheddar cheese, fontina cheese and 1 tablespoon Parmesan cheese until melted. Add chives. 4. Drain macaroni; stir into sauce. Transfer to a greased 3-qt. baking dish. Sprinkle with remaining cheddar and Parmesan cheeses. 5. Bake, uncovered, at 400° for 15-20 minutes or until golden brown and heated through. Top with crumbled bacon. Let stand for 5 minutes before serving. Looking for something special for the St. Patrick’s Holiday? 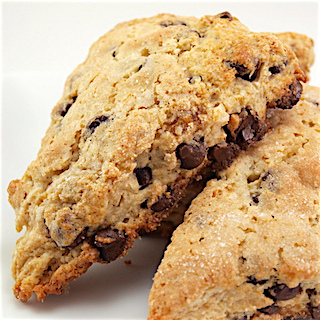 Try these chocolate scones made with the new Sam Adams Nitro project. 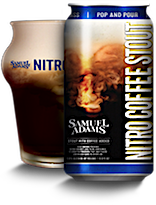 It’s adapted from an NBWA recipe and then taken to the next level with the new Sam Adams Nitro Coffee Stout. We are not bakers by a long shot but we think these taste delicious and are sure you will agree. Sláinte! If using cherries, chop them coarsely. Soak cherry pieces or dried cranberries in Stout Beer for 30 minutes. Preheat oven to 425 F. Cover large baking sheet with parchment paper and set aside. In large mixing bowl, combine flour, baking powder, sugar and salt. Cut in butter with pastry blender until mixture resembles a coarse meal. Add cherries and beer, chocolate pieces and cream. Dough should be sticky and wet, but not soggy; add another tablespoon of flour if needed. Mix well and form into large ball. Place dough on flat work surface and press into eight inch circle. Cut into 8 wedges; transfer wedges onto parchment paper-covered baking sheet. Bake in preheated oven 14-15 minutes. Remove from oven; cool slightly and dust with powdered sugar. 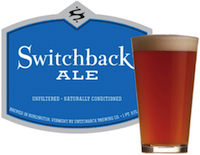 Adapted from the Food Network Kitchen, our recipe pumps up the flavor thanks to the unfiltered British style profile of Ipswich Ale. Very easy to make and perfect comfort food for the winter months. Give it a shot and let us know how you make out by posting a comment on our Facebook page. Season the chicken with salt and pepper and dredge in flour, shaking off any excess. Add the olive oil to the bacon drippings in the pot. Cook the chicken in batches over medium-high heat until golden brown on the bottom, 6-7 minutes. Flip over and sear the other side for about 1 minute. Add the bottle of Ipswich Ale, onions, potatoes, mustard, sugar, thyme along with one cup of water to the pot. Make sure that the chicken is fully submerged. Simmer 15-20 minutes until the chicken is cooked through. Discard the thyme sprigs and stir in bacon and parsley. Serve immediately. Beverage that pairs well? Ipswich Ale, of course! Nothing warms up a winter night like a nice bowl of chili simmering in a dutch oven on the stove top. Ours tastes even better with the addition of Sam Adams Boston lager for the base. Try it for yourself on the next cold winter’s night and let us know how you make out on our Facebook page. In a large dutch oven, brown the meat over medium heat, stirring, until no pink remains. Lift from the pot with a slotted spoon and set aside. Discard the fat in the pot. Add Sam Adams Boston Lager, tomatoes and their juices, and tomato paste and bring to a simmer. Return the meat to the pot and add the kidney beans and chili sauce. Stir in the hot pepper sauce and season to taste with salt and pepper. 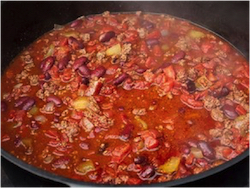 Let the chili simmer for 45 minutes to 1 hour until thoroughly cooked and the flavors come together. Stir several times during cooking and adjust the heat to maintain the simmer. Best made the night before and rested for a day. With the arrival of the holidays we thought something sweet was in order for December. This simple banana gingerbread recipe combines the best of both ingredients to make your kitchen smell wonderful. It's perfect with your morning coffee, before the day gets busy, and will keep guests happy 'til the main meal is ready. 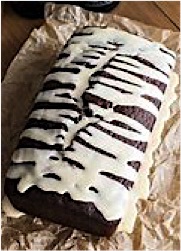 Adapted from beerandbaking.com, this one’s definitely worth trying, and we hope you'll share your comments on our Facebook page. 20 min. / 50 min. approx. Preheat oven to 350. Make sure rack is in the middle of oven. Grease a bread pan with unsalted butter, making sure it’s fully covered so bread doesn’t stick. You can also use baking spray. Whisk together flour, baking soda, baking powder, salt, sugar and cinnamon. In a separate bowl whisk eggs until frothy. Add banana, melted butter and UFO Gingerland beer. Mix so there are no big chunks of banana; then start adding the dry mix. Mix until incorporated and do not over-mix. 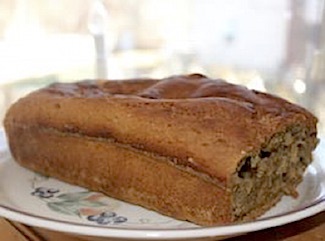 Fold in walnuts with a spatula and then scrape mixture into prepared bread pan. Bake for 50-55 minutes. Be sure to rotate bread about halfway through so it bakes evenly. Check the bread using a toothpick. It should be slightly on the moist side. Allow to cool on wire rack for at least 30 minutes. After the bread has cooled it should slide right out the pan. Allow to cool completely before frosting. Whisk together the powdered sugar, corn syrup and UFO Gingerland beer. If the mixture looks too loose then add more powdered sugar. If it’s too thick, add a little more beer. 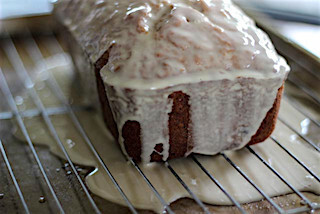 Pour the frosting over the bread and allow it to drip down. We placed the bread on a wire rack on top of a cookie sheet so the frosting would not drip everywhere. 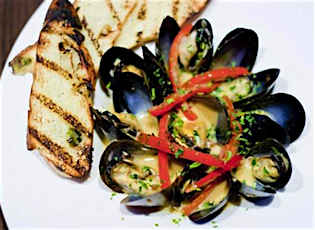 Moving toward cooler weather, but still with a love for New England seafood, we’re heading back to the ocean with a mussel recipe that is highlighted with Vermont’s #1 Draft offering. Try it for yourself and let us know how you make out by posting a comment on our Facebook page! Melt butter in a Dutch oven over medium heat. Add shallots and garlic; cook until transparent, approximately 3 minutes. Add bay leaves and beer. Bring mixture to a boil over high heat. Add mussels, and then cover. Cook, shaking the pan often, until mussels open, approximately 5 to 6 minutes. Discard any mussels that fail to open. Using a slotted spoon, transfer mussels to a large bowl, reserving liquid in pan. Sprinkle 1/4 cup parsley over the mussels. Remove and discard bay leaves and thyme. Add basil and red peppers, and return liquid to low heat; stir in cream and remaining 1/4 cup parsley. Cook to napé (a sauce that is napé will coat the back of a spoon, and a line drawn through the sauce will remain clear even as the spoon is turned around.) Stir in the butter, and then pour over the mussels. Serve hot with bread. Looking for that perfect October treat to share among your adult friends? 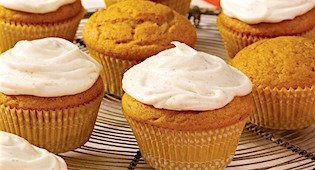 This recipe from Shipyard Brewery combines the spicy flavors of clove and cinnamon in Pumpkinhead beer along with the sweet goodness of a cupcake. Try it for yourself and let us know how you make out by posting a comment on our Facebook page! 15 min. / 30 min. approx. Preheat oven to 350. Prepare cupcake pans with paper liners. In a small bowl combine the flour, salt, baking soda, baking powder and spices. 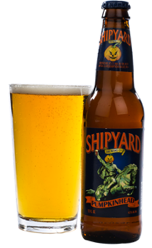 In a large bowl, combine the light brown sugar, granulated sugar, eggs, oil, pumpkin puree and Shipyard Pumpkinhead. Whisk until combined and smooth. Add the dry ingredients slowly into the wet ingredients and stir until combined. Fill each cupcake tin about ¾ full. Bake for about 20 minutes or until golden brown. Remove cupcakes from the pan and let cool on a wire rack. To make the frosting: Mix all of the ingredients thoroughly with a hand mixer. To thin out the frosting add one teaspoon at a time of Pumpkinhead until desired consistency is reached. Freeze any additional frosting for your next batch. When cupcakes are completely cool, frost ‘em and enjoy! September is a transitional month in New England. Days are growing shorter and cooler, and leaves begin their subtle march towards autumn colors. And of course, football! It’s well known that hoppy IPAs go well with the heat in spicy foods. So bring on the hops and bring on the heat! Check it out and share your comments with us on our Facebook page! 2 hours / 45 min. approx. Combine all marinade ingredients, then add the chicken wings. Let the wings marinate for 1-2 hours, then drain and pat dry. Season the chicken with black pepper, cayenne pepper and salt. Cook them on the grill (12-16 minutes) or in the oven (15 minutes at 375 degrees) until they are cooked through. Combine all the sauce ingredients except the butter in a sauce pan. Reduce slowly over heat for about 30 minutes. Slowly add and melt in the butter. Once the butter is incorporated, remove the sauce from the heat and mix the wings into the desired amount of sauce. 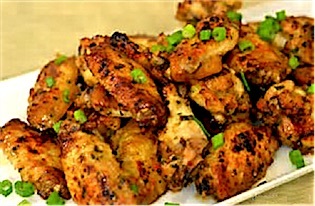 Top the wings with chopped scallions and serve alongside lime wedges and Blue cheese/ranch dressing if desired. No summer would be complete without the famous “beer can” chicken recipe. Our beer can of choice? Notch’s LOD (Left of Dial). Check it out and share your comments with us on our Facebook page! 20 min. / 1 hr. 30 min. approx. Begin with: 1 whole 4-lb. chicken, washed and dried. Rub: In a small bowl mix all the ingredients together to use for seasoning the chicken. You can store unused rub mixture in an airtight container for up to 6 months. Preheat grill to medium-high heat. Rub the chicken and its cavity with vegetable oil. Season the chicken with the rub mixture, and don't forget to season the cavity. Drink 1/4 of the Notch LOD and sit the chicken on top of the beer can with legs facing down. Place the chicken in the center of the hot grill and cover. Cook the chicken for 1 to 1 hr 30 mins, or until an instant-read thermometer registers 165 degrees F. Once cooked, cover loosely with foil and let rest for 10 minutes before carving. This month we're on a health kick — after all, it’s summer, and what says summer better than Sam Summer Ale and a lighter meal on the grill? Try this one, and let us know what you think on our Facebook page! 30-40 min. / 10-15 min. approx. Soak wood chips in Sam Summer Ale for at least 30 minutes. Remove and drain excess beer. Chips should be damp, not dripping wet when placed on grill. Marinate salmon with two bottles of Samuel Adams Summer Ale for 30 minutes. Prepare grill for direct cooking over medium heat (350° to 450° F). In a medium-sized bowl, combine and mix all ingredients except for the salmon and BBQ sauce. This will serve as a rub. Lightly coat each piece of salmon with the rub, making sure to coat the top and sides of the fish. Brush cooking grates clean on grill. Add two handfuls of the soaked, drained wood chips to the smoker box, or directly over the ashed-over charcoal. Close lid of grill. When smoke appears, grill the salmon, flesh side down first, over direct high heat with the lid closed, until you can lift the fillets off of the cooking grate with tongs without sticking, 6 to 8 minutes. Turn the fillets over and continue cooking to your desired doneness, 2 to 3 minutes for medium rare. 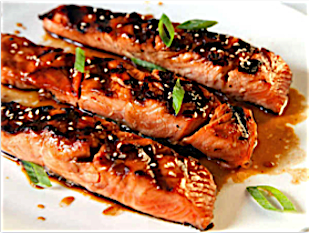 During the last minute of grilling, glaze each piece of salmon with the barbecue sauce and close the lid. Insert a spatula between the skin and flesh. The salmon should raise right off the grate leaving the skin on the cooking grate. Discard the skin. 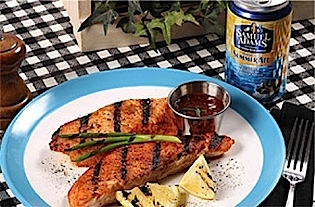 Let salmon rest for 3-4 minutes and serve with Sam Adams Summer Ale. Here we are in June where outdoor cooking becomes the center of attention and the grillmaster is king of his trade. 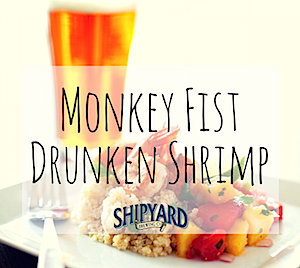 This recipe with Shipyard’s Monkey Fist IPA is a slam dunk whether it’s apps for many or a dinner for a few. Give it a shot and let us know how it fares by commenting on our Facebook page! 35 mins. / 5 mins. approx. 1. In a large bowl combine the juice of 2 lemons, Monkey Fist IPA, ginger, cilantro, and chili paste. 2. Add the cleaned, peeled shrimp and let marinate for about 30 minutes. 3. Place on a hot grill for 2–3 minutes on each side, or until cooked. 1. Peel, core and quarter the pineapple. Lightly oil and season with salt and pepper. 2. Place on the grill for 2-3 minutes on each side, then remove and dice. 3. Combine with the diced watermelon, lime juice, red onion, cilantro and jalapeño in a large bowl and season to taste with salt and pepper. Don’t you love the month of May where the change of the season brings flowering trees, bright colors, and of course the smell of a grill newly christened from the dormancy of winter? And what goes better with burgers than beer? Of course in this case the beer is also in the recipe. So break out the fire, try this quick, easy recipe, and give us a shout out on our Facebook page! 5 mins. / 10 mins. approx. 1. Prepare burger patties. Season with salt and pepper, place in refrigerator. 2. Prep grill for medium-high grilling. 3. As grill is warming up, add Ipswich Ale to a sauce pan and heat over medium-low burner. 4. Cook bacon in a skillet until perfectly crisp and set aside. 5. Once beer is slightly warm, begin adding cheese a little at a time so it melts (think fondue). 6. After all the cheese is added and has melted into the liquid, reduce heat to low. 7. 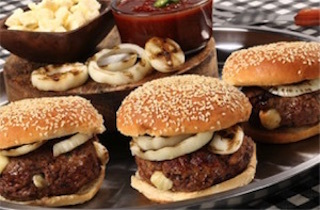 Grill burgers about 4 minutes per side (rare) or until desired temperature is achieved. 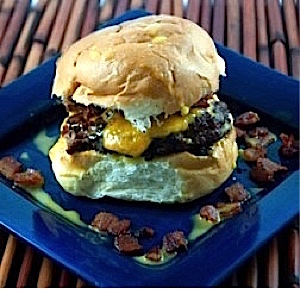 Serve burgers topped first with bacon strips, then cheddar ale sauce. What says New England better than a nice glass of Sam and a hot bowl of chowder? We’re talking about the real type that looks white, slightly thick and full of goodness. None of that red looking stuff for a true New Englander. 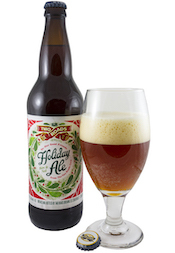 This recipe was adapted from the Boston Beer website. Give it a try during those April showers, and be sure to let us know what you think on our Facebook page! 15 mins. / 15–30 mins. approx. 1. In a large pot, melt the butter over medium-high heat. When melted, add the carrots, peppers, onions, garlic and 2 tablespoons of the seasoning. Cook, stirring, for 2 to 3 minutes or until the vegetable start to soften but are still a little crunchy. 2. Add the flour, reduce the heat to low, and stir with the vegetables and butter to make as smooth a roux as possible. Continue to cook, stirring, for 1 to 2 minutes to rid the roux of the raw taste. 3. Add the potatoes, beer, clam juice and 2 cups of heavy cream. Raise the heat to medium-high heat and bring to a simmer. Cook at a gentle simmer for about 10 minutes, stirring occasionally, until the soup is slightly thickened and the potatoes are cooked through. Stir in the clams and simmer for about 5 minutes longer to insure the clams are fully cooked. Take care not to overcook the clams. Taste and adjust the seasoning with Italian seasoning. Add more cream if needed and heat through. Ladle the chowder into bowls and garnish each serving with croutons and parsley sprig. With all the snow that will be still on the ground for weeks, and with the upcoming St. Patrick’s holiday, our recipe attention turns toward something hardy yet appropriate for the season. This recipe has been adapted from Better Homes and Garden. Let us know what you think on our Facebook page! 30 mins. / 1 hr. 15 mins. In large bowl combine flour, parsley, thyme, pepper, and salt Add beef, a few pieces at a time; stir to coat. Reserve leftover flour mixture. In 6-quart Dutch oven heat oil over medium-high heat. Brown beef. Stir in onions, carrots, mushrooms, and potatoes. Cook and stir 3 minutes. Stir in tomato paste, mustard, and remaining flour mixture. Add broth, Harpoon Celtic beer, and bay leaf. Bring to boiling; reduce heat. Cover and simmer 1 to 1-1/4 hours until beef is tender. Remove and discard bay leaf. Serve with crusty bread. Adapted from a recipe on HungryFoodLove.com. This simple recipe packs a sweet and tangy punch thanks to the honey, soy and chipotle in adobo. Easy to make for Super Bowl tailgating parties or a sit-down among friends. 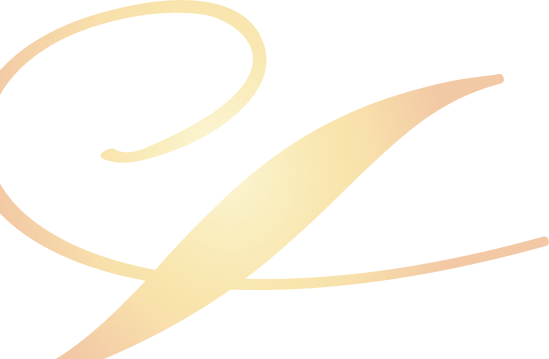 Be sure to let us know what you think on our Facebook page! 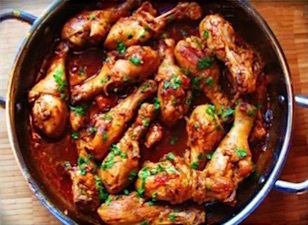 1½ tablespoons Chipotle Adobo (Adobo is Spanish for marinade. Chipotle Adobo is one made from chipotle peppers. If you can’t find it locally we suggest ordering it from www.unicogourmet.com). Preheat oven to 350 degrees Fahrenheit. Season wings with salt and pepper and set aside. Make marinade by combining the rest of the ingredients together in a mixing bowl. Add wings to marinade making sure they are coated on all sides. Arrange wings in one layer in a shallow baking dish. Pour the remaining marinade over the wings. Roast wings in oven for approximately 2 hours, basting frequently. Wings are done when the sauce has cooked down and the meat falls off the bone. 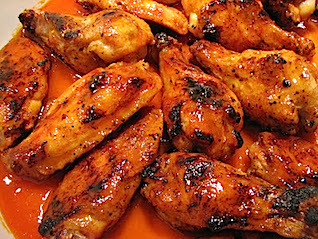 Tip: For crispier skin, broil wings for a minute or two once they are done roasting. Adapted from a recipe shared by Dana Kristen of KillingThyme.net, these mushrooms come to life when prepared with New Castle Brown Ale. Very easy to make and a delicious side dish for the New Year. 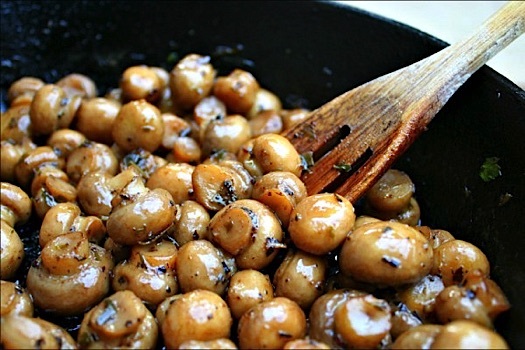 Dana’s recipe calls for button mushrooms, but feel free to experiment. We loved them with the baby bells combined with a handful of shiitake. Enjoy, and let us know what you think on our Facebook page! Melt butter in a skillet. Add washed mushrooms and toss to coat. Pour in Newcastle Brown Ale and bring to a simmer medium-low heat. Add fresh herbs, sea salt and ground black pepper. Poach for approx. 30 minutes, stirring occasionally until mushrooms are soft. These cookies are made light and fluffy with the addition of witbier. Their festive, fruity taste comes from fresh orange juice and zest. Adapted from a recipe on CraftBeer.com. Enjoy, and let us know what you think on our Facebook page! 1. Combine beer and the honey in a medium saucepan over medium heat and reduce until 1/3 cup of liquid remains. Yes, you’re starting with 24 oz. of beer and reducing it to 1/3 cup. 2. About 40 minutes into the reduction, skim the foam off the top of the liquid and discard (when there is around 1/3 cup remaining the liquid will begin to aggressively foam because of the high sugar concentration). 3. While your reduction is cooling, cream the butter and sugar together. 4. Add the egg and blend the mixture together. 5. Then add vanilla, orange zest, coriander, and the beer reduction. Blend together. 6. Whisk the flour and baking soda together in a separate bowl and slowly add it to the batter. Mix until just blended. 7. Scoop mounds of cookie dough onto an aluminum cookie sheet lined with parchment paper, fitting about 12 cookies on a pan. 8. Bake at 350°F for 16 - 20 minutes. 9. Let the cookies cool for about 10 minutes, then move to wire racks to finish cooling. 10. Begin by whisking the vanilla into the powdered sugar. 11. In a separate bowl, mix the orange juice and milk together. 12. Then pour the orange juice/ milk mixture into the sugar, until you reach your desired consistency of a thick paste. Probably only 1 tbsp of the orange juice/milk. 13. Make sure your cookies are completely cooled! Using a butter knife, put a dollop of icing on each cookie and spread it a bit over the top. 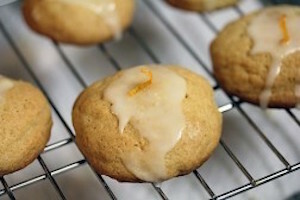 Then place a small piece of orange zest on top of the cookie as garnish. 14. Let icing harden a bit and enjoy! Looking to bring something special to your upcoming Thanksgiving celebration? No host can turn down a 12pk of Shipyard’s Pumpkinhead Beer combined with a loaf of Pumpkin Ale Bread. This recipe was adapted from food.com. We hope you enjoy this seasonal choice. Let us know what you think on our Facebook page! Prep time approx. 5 mins. Now that the cooler season is upon us it’s time to think about comfort food… You know the kind — it sticks to your ribs and makes you feel warm all over. This month’s recipe comes from the Fort Collins Brewery and was modified slightly. Let us know what you think on our Facebook page!